My computer is like an appendage, and I never feel quite at ease when it isn’t within arm’s reach. So much of what I do, both at work and at home, depends on its capabilities and what it holds in memory. This is why I regularly run two backups. 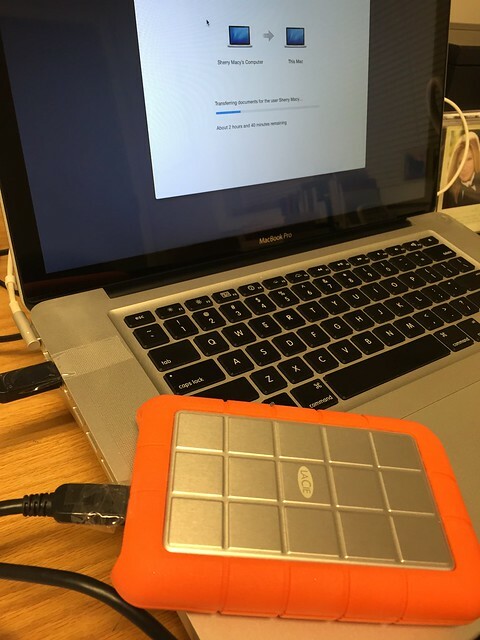 One week ago tonight my hard drive failed and it has taken this whole week to transport it to the Apple store for diagnosis and repair, pick it up again, transfer nearly a half a terabyte of data from the backup to the new hard drive, and restore it to working order. The latter is the most dreaded part, as I always need to know just a little bit more than I know to accomplish this. Here it is, getting its brain restored. If you don’t regularly back up your computer, please go do it right now! 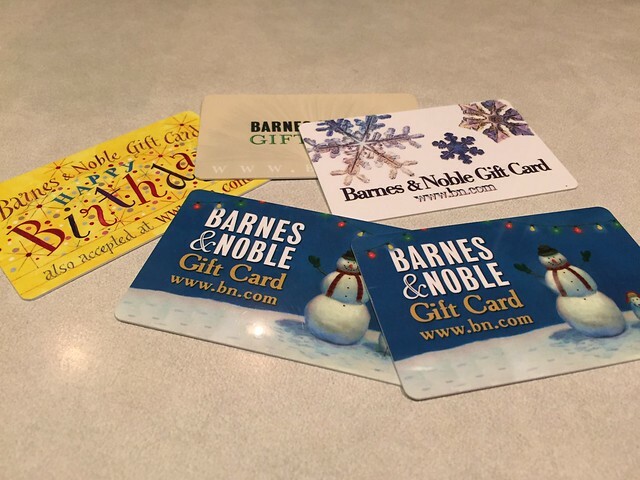 There’s a Barnes & Noble near the Apple store, so I carried with me the six gift cards I’ve had stashed in a drawer for many years. Not knowing if they were still valid, I started out at the cash register and discovered I’ve been sitting on 50 bucks! I was about to enjoy a “free” shopping spree. For the next half hour I walked the length of the ground floor, then the second level, hoping to find something real cool on sale or that I couldn’t live without. I tried, I really tried. But I read books on my phone these days and I don’t even use a calendar anymore. All of that info is stored on my computer! If I buy a CD I order it through Amazon at a discount (usually). So I went to their coffee shop, ordered a $2.75 hot chocolate and a $2.25 cookie, and paid with one $5 card. (No sales tax in Oregon.) That’s why you counted only five cards in the picture. $45 to go! 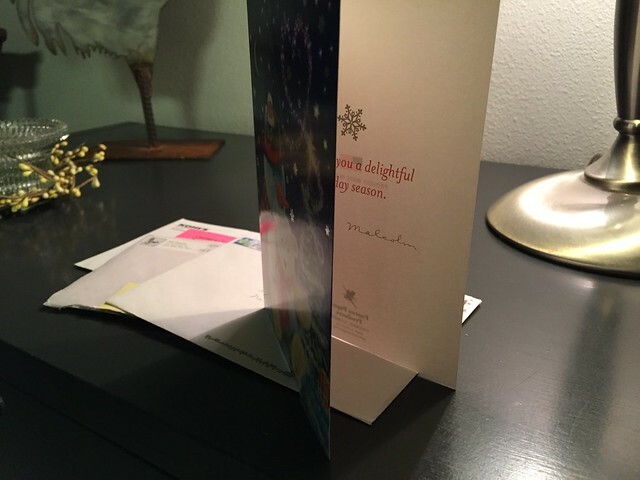 This Christmas card from long-time family friend Malcolm Benson arrived the day after he died on New Years Day at age 93. And maybe you need to see this! “Tucker” (at least that’s his name so far) will become part of the Arizona Anderson family sometime next month. 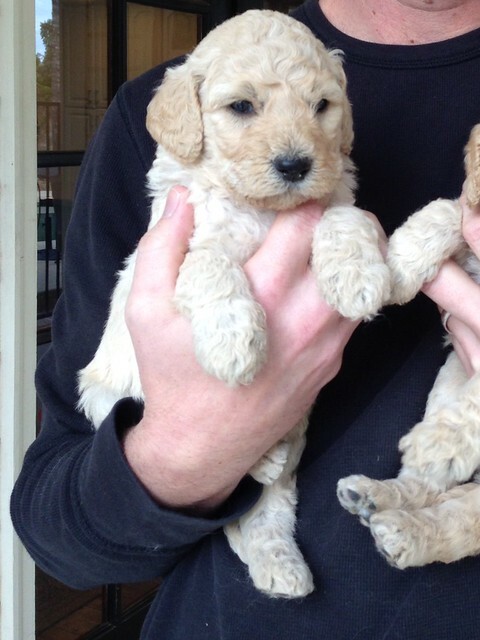 He’s a goldendoodle and sure to win over all of our hearts. 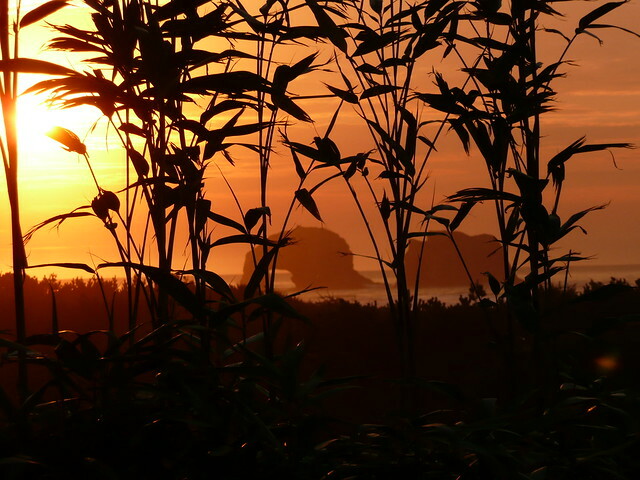 It’s always challenging to choose my favorite sunset picture that Mauri sends me from the coast every January. We’re only halfway through the month, but he’ll have to go some to top this one. We FaceTime every evening and share stories of our days. Here he shows off one of his purchases. I can’t quite bring myself to start calling him Leonard though. 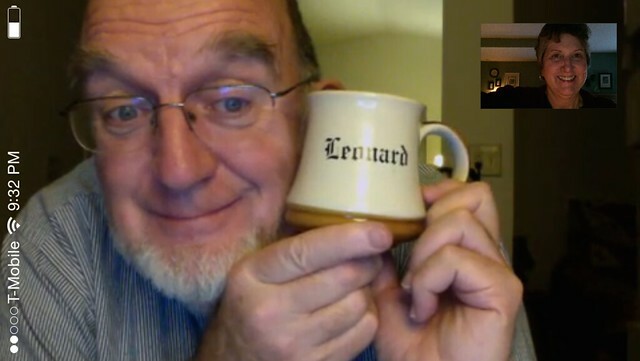 Does he look like a Leonard to you? Just a few items of interest to share from my interesting life (now that I have a computer again). This entry was posted in old friends, this and that. Bookmark the permalink. You are so wise….I never back my computer up, mostly because I don’t really have anything important on it. I’m still living in the “dark ages” and use paper and pencil for most of the things I do! Photos I store on thumb drives, documents in a file cabinet. PS I backed up my computer last year, hit the wall and bent something and had to be repaired! They get you no matter what you do!